About 1 year ago today, Jia Choi and I decided to start to do cooking classes and food tours in Seoul. It seemed to be the natural trajectory in the line of work that we were doing. Jia is a professor of food culture and I was a food writer. When we started we had no idea of what we were doing and where it would go, but we believed in the cuisine of Korea and that it would be a draw for tourists. One year later, we are still around and we are doing well. We moved from renting out small cooking studios, to changing our office into one and finally moving into O'ngo Culinary School in Insadong. 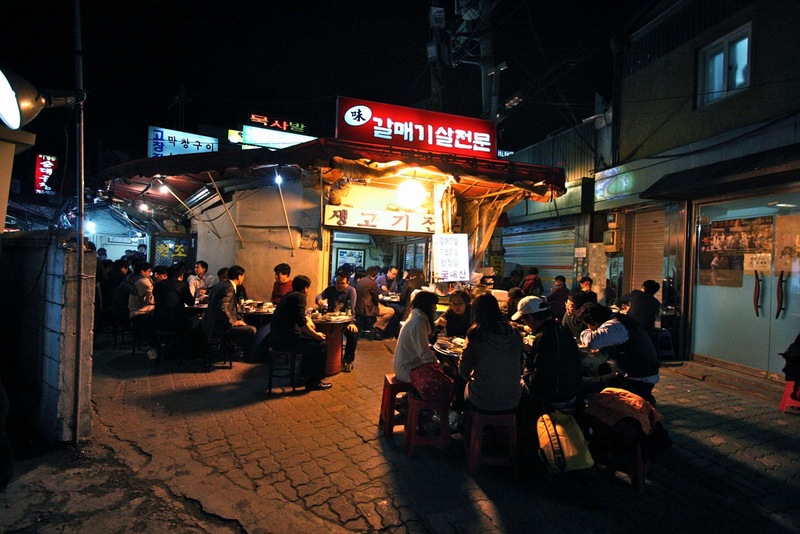 We are amazed that so many people have come to us to learn about Korean culture and cuisine. Many people have been writing reviews about our classes and tours on Tripadvisor. To date there are 22 reviews and almost all of them are positive (Yay!). If you have been to a cooking class or tour, please take a minute and write a review. We would truly appreciate it.